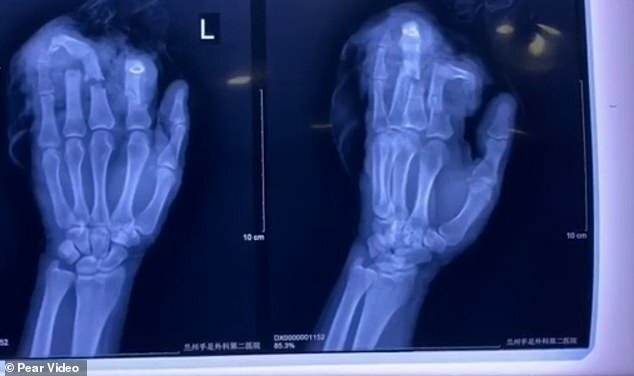 A man in north-west China has been hospitalised after he chopped off four of his fingers during a heated argument with his wife at home. 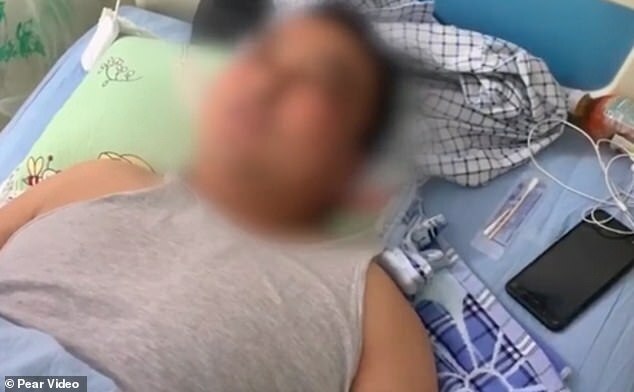 The furious husband grabbed a cleaver and cut off his fingers out of rage during the fight at their home in Lanzhou, Gansu province, according to Chinese reports. 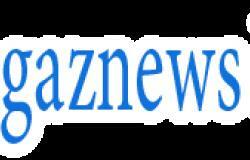 The man's horrified wife immediately rushed him to hospital, where doctors were able to reattach the severed digits on his left hand.